All the articles published on GetPaintBall.com are the property of the GetPaintBall.com team. As such, the GetPaintBall.com articles are subject to international copyright laws. Using copyrighted materials is subject to certain limitations, which will be described in the following paragraphs. These limitations define the way in which you may use the materials offered on the website, as well as how you may not use these materials. 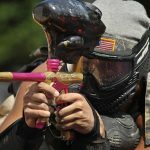 The articles we provide on our website, www.getpaintball.com are free for personal use. We will never charge our users for reading or accessing our website. 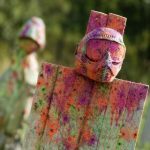 As a GetPaintBall.com visitor you can read, copy and share these articles but strictly for personal use. You can extract anything you find useful from our articles to use. We try to provide our readers with as many resources and information regarding paintball gear, accessories and other related topics as possible. You can also contribute with useful information and resources in the comments section of each article. Likewise, you are encouraged to message the GetPaintBall.com team with anything you find would improve the website. Users may not use the GetPaintBall.com articles and website in general for any commercial or self-promotional purposes. As far as the articles are concerned, this means you cannot reuse our materials on your website or any websites you own without our consent. This applies both to articles as a whole, as well as parts of articles and information taken from the articles. If you would like to reference information, materials or whole articles on your website, please contact the GetPaintBall.com team for permission. When contacting us, please mention the publication you will be referencing our material on, the purpose of the reference and the context in which you will be using it. If you receive our permission, we ask that you use the article or material in the manner previously established. We will revoke our permission if we note there’s a significant breach of our agreement. As far as the website is concerned, while we encourage our users to provide information and references in the comments section of each article, we will only approve comments that are non-commercial, non-promotional in nature. We will reject any and all comments that try to promote a website or product in a commercial manner. Our comments section is moderated by the GetPaintBall.com team and all comments are subject to review and subsequent approval or rejection by our team. We try to provide up to data information. 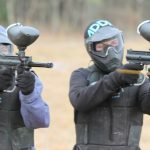 We do not take responsibility for the way in which readers make use of GetPaintBall.com articles, materials and information. Likewise, we cannot vouch for the accuracy of our content at all times, as we often reference materials and information that is provided by other websites. These websites and their respective authors are in charge of the accuracy of their information and the changes they make. We cannot control the way in which these websites and their authors alter or report information. We are part of the Amazon Affiliate program. This means that we receive a commission when users purchase something from Amazon following a link on one of our articles. However, our affiliation does not influence the objectivity of our recommendations in any way. And our commission does not affect the prices you pay on Amazon. We hope all our users will feel welcomed on our website. To this end, we allow users to send in comments, and review all comments before they are published, to ensure smooth and productive communication. Never request personal information from our users, or attempt to gain personal from our users through some other means. On that same note, users should avoid posting personal information in the comment section. Personal information includes full name, phone number, home address, work address etc. We kindly ask our users to maintain a respectful tone towards other users at all times.